NOTE: This blog was written in 2015, before launching my new blog The Loveliest Balance. I deleted most of my old blogs because I was starting over completely and needed clean space to do so. However, the ones I chose to keep were very near to my heart at the time and still have great importance to me. So you can peek into the old Mel and see how that has shaped who I am now and The Loveliest Balance. 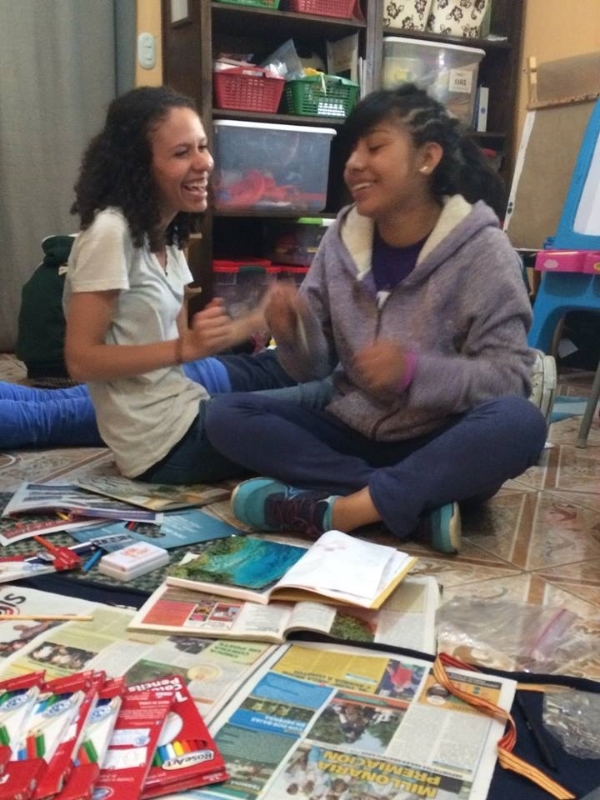 In this blog, I'm reminded of my time in Guatemala. It was so life-changing and special. I loved the ministry I got to be a part of. Although plans in South Africa shifted and looked a lot different that I imagined, overall, art therapy still is a passion in my heart. I am currently going to school for Social Work! I hope to get my Master's and become an Adoption Counselor! And I would love to be a certified art therapist. It is such an amazing tool to use, especially with children, who I want to work with! So neat. I'm so thankful for the journey I've had and all that God blessed me with. When I got back from the World Race, I went to Gainsville, GA for Project Searchlight (PSL). It’s designed to present racers that just got off the field with some “what-to-do-now” options. Prior to the start of PSL, I was at the Barnes’ home sitting on a couch in the basement chatting with Estie, Kacie (who I live with now in Guatemala, such a small world), and Estie’s dad, Seth. Seth was walking on his treadmill, eagerly asking me what I saw myself doing following the race. I had no clue. I told him that all I knew was that I liked children, orphans, Africa, art, missions, and that I had a heart for hurting and broken children to find freedom and healing. “Art Therapy,” Seth said. Just like that. He went on to explain that he had a family member that is an art therapist. He told me that he could totally see me doing it. “Kids in Africa need art, you know,” he said so matter-of-factly. I nodded and thought to myself, “I just don’t think so. I’m not that talented at art. And I don’t want to go to school for that long.” I told him I’d consider it, and that I was thankful for his advice. However, I pushed the idea far into the back of my mind. Fast-forward about 15 months from that day at the Barnes’ and guess what? 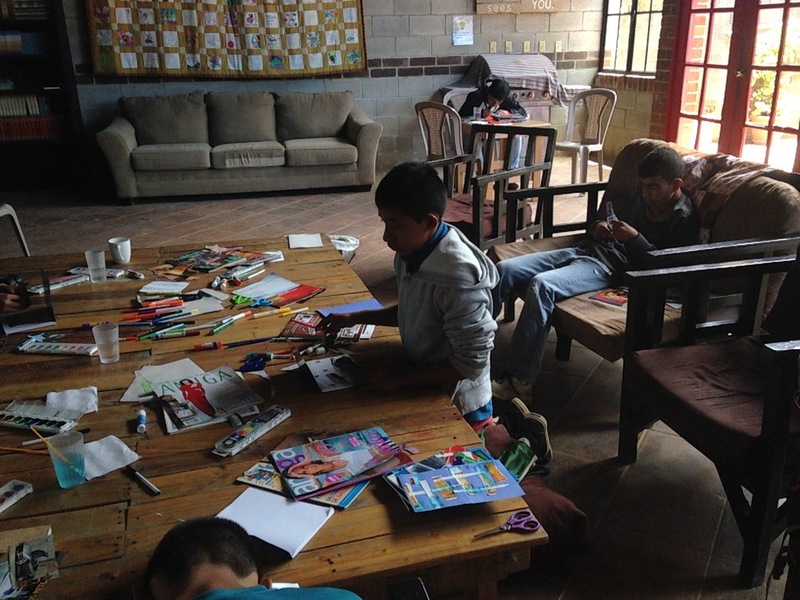 I AM DOING ART THERAPY IN GUATEMALA. So get this. God is just super cool. He brings things soooo full circle. At a worship night back in February, I meet Drew and Cindy Melcalf. They are missionaries that have an amazing healing ministry called We Help Children. They do different therapies with children at orphanages and children’s homes around Guatemala. They train the individuals that work with the children that are abused, neglected, and have experienced trauma. So, come to find out, the Metcalfs wanted to start art therapy! I thought that they had already done art therapy and expressed interest in it, hoping that I can join them. And next thing you know, it’s set up for me to begin working with them!!!! I have been developing an art therapy program, doing activities and sessions with the girls at an orphanage called Casa Shalom. I’ve done all my own research, learning about art therapy, presenting information to the Metcalfs, preparing lessons and activities, and tracking progress of the girls. It’s been the most amazing, humbling, rewarding, and beautiful experience! Now, the program is expanding! I have started doing art therapy at Village of Hope (an amazing children’s home run by a family that we have become friends with, Amy and Todd Block). It’s been so wonderful to work with their teenage girls and boys. I feel so blessed to serve this fantastic ministry in such a way. I have written a proposal for the Adventure in Missions Guatemala Base to use as they present art therapy to other locations. Michelle (a long term missionary here, and my good friend) believes in this program so much and will carry it on. Art therapy is now a program that the base runs! I’m in the process of writing a facilitator handbook for others to lead the sessions and learn the different activities that I’ve done. Isn’t this all so crazy awesome?! This thing that I’ve created is going to stay in Guatemala and impact the lives of many children and youth! AND NOW I AM BRINGING IT TO SOUTH AFRICA!!!! It just keeps getting crazier. I will be working with various children’s ministries and as the “Creative Arts Coordinator.” I seriously am still so blown away by what God is using me for. I will get to partner with a children’s craft ministry (and hopefully expand it to multiple locations), work with children at Educare center, and bring my art therapy program to Cape Town! It’s so unbelievable. I am so excited! Through all this beautiful, creative, and wonderful art therapy development, I’ve come to learn so many things. Creative art is such an amazing outlet for expression, understanding, healing, and fun. Creativity is a global language. Anyone can make amazing art. Art can help make sense of times that are stressful, traumatic, or grievous. Creating something from nothing brings forth such empowerment, confidence, and joy. Art, music, dance, yoga, and writing are awesome. I want to keep practicing them all. I want to be an art therapist! I plan of getting my undergrad in psychology, eventually getting a master’s degree in an area of counseling (either adoption counseling, marriage and family therapy, or child psychology). And then, I want to become a certified art therapist!! !